Biomass describes fuels which are made from animal and plant waste – for example wood chips, manure, and crop waste. 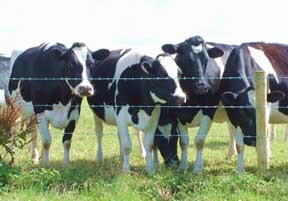 By decomposing animal manure and crop waste using bacteria, methane gas can be generated. Methane generated in this manner is called biogas and can be used for heating, cooking, and as a fuel. It can even be burnt to heat water to generate steam to run the turbines of an electricity generating power plant. The waste products from the growing of crops can be fermented with yeast to make alcohol fuels. This alcohol can be mixed with petrol to make a fuel called gasohol, or it can be burnt as a fuel in its own right. Biogas is a renewable fuel as animal waste and crop waste and constantly being created. 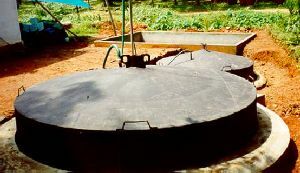 Also, the generation of biogas is very simple and the fuels created are easy to use and store, and they burn cleanly. However, burning biomass releases CO2 into the atmosphere, and the removal of plant and animal wastes prevent them from acting as soil fertilizer leading to lower crop yields as soil nutrient levels drop. There are thousands of biogas plants in India and China where there is a large amount of animal waste.